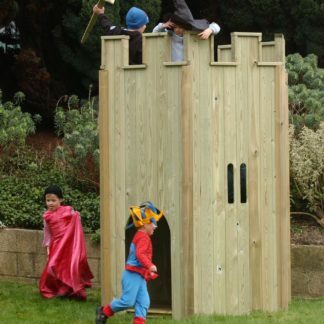 The All Out Play Tower is one of our most popular Adventure Play items. 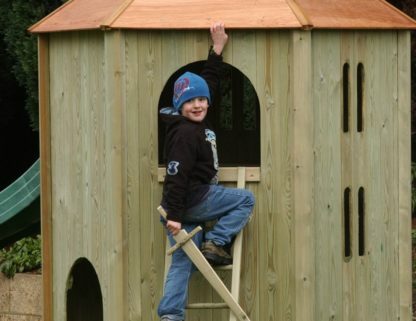 A roofed hexagonal structure with flexibility to allow any arrangement of the panels and a wide range of potential accessories it strikes a fantastic balance between the aesthetic and the practical. 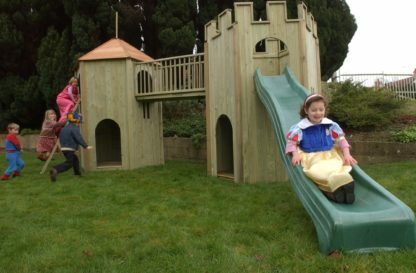 There is an upper floor which allows the lower area to be used for a variety of purposes and settings. 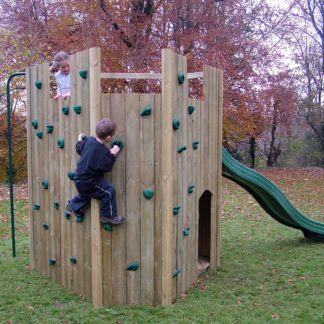 The All Out Play Tower is one of our most popular Adventure Play items. 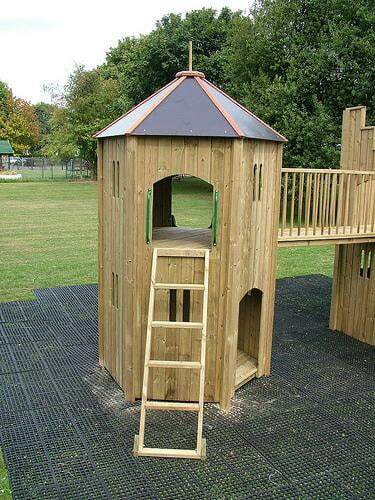 A roofed hexagonal structure with flexibility, it allows for any arrangement of the panels. 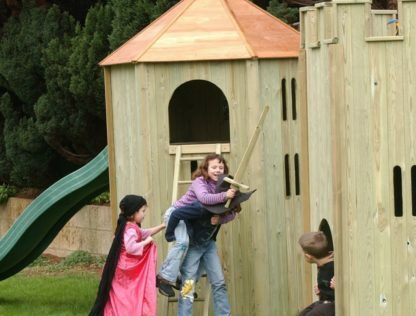 With a wide range of potential accessories it strikes a fantastic balance between the aesthetic and the practical. Inside there is an upper floor which allows the lower area to be used for a variety of purposes and settings. This is accessed by wall mounted steps. The addition of a slide gives an alternative way down and allows for free movement through the Tower. 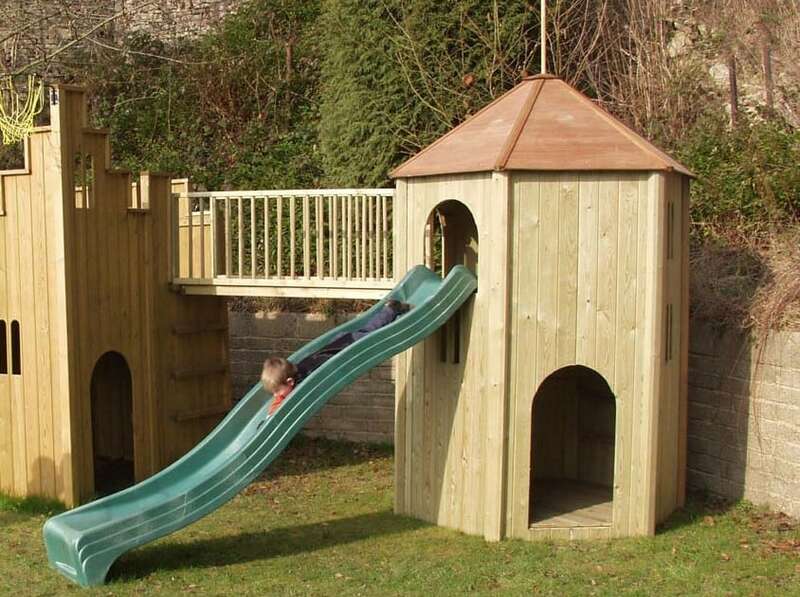 The slide is available separately. 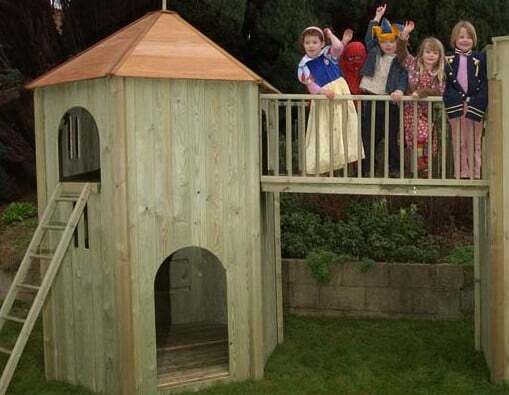 The All Out Play Tower can be expanded by linking it to other play houses with a connecting bridge. 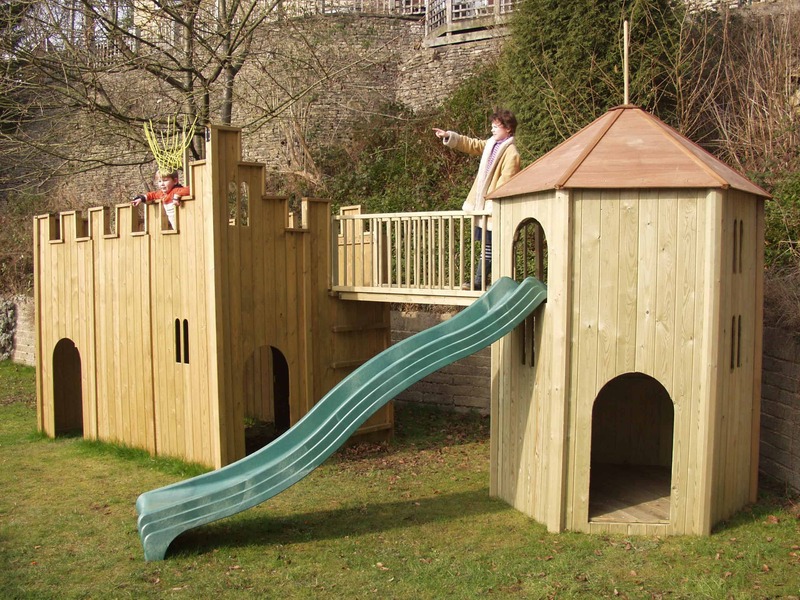 Choose from the following connecting bridges Fixed, Rope, Clatter, Net, Dowel handrail, Crenelated handrail, Arched, Sloped, Tube. 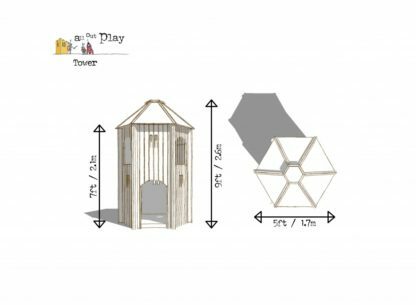 All Out Play Tower Details.